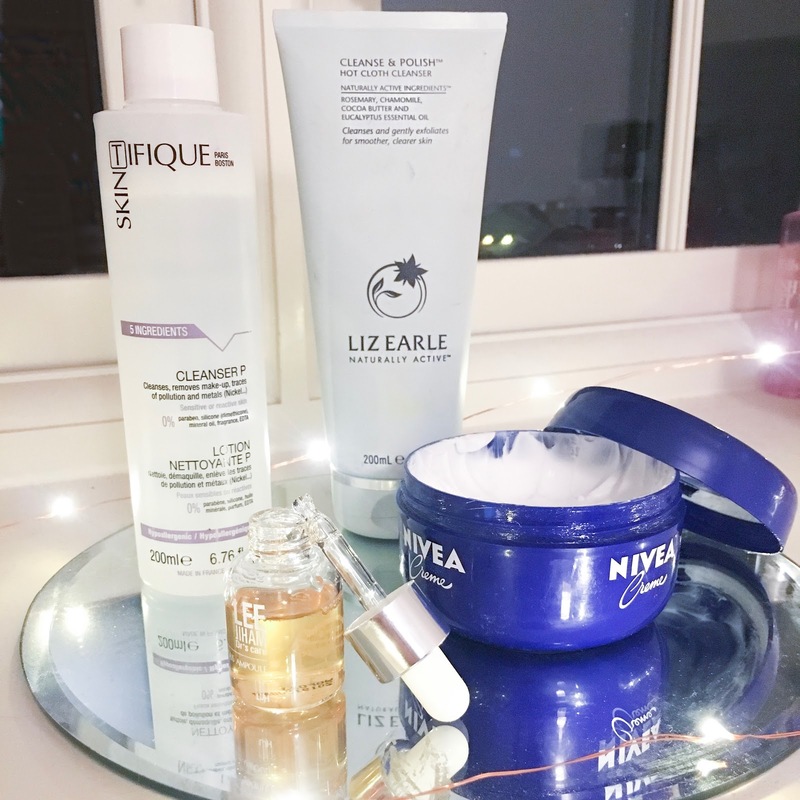 I know it's a little late to be doing a 'Winter Skincare Routine' but in all honesty my routine doesn't really change too much in the different seasons as my skin is usually quite dry anyway. I am so lucky to be able to try out a range of different serums, creams and different skincare items. It's hard for me to choose what to use in the morning, but I thought I'd share with you all what I usually reach for. I am not the type of person to only use 'fancy' expensive skincare because I know that there are so many products out there that are just as good. A favourite of mine has to be Nivea Creme! This product has been around for years and it's a favourite of my Mum's too, but it is truly amazing! Now, I would NOT recommend this product if you have more of an oily skin-type because it is a very thick cream and is shiny on the skin when first applied but it works wonders for dry-skin. Personally, I love to put it on just before bed because it acts as an intensive night cream and leaves your skin feeling really soft in the morning! It's also great to put on before your makeup if you want more of a dewy look. As far as cleansers go, I do like to switch them up on a regular basis because I'm still on the hunt for a cleanser that doesn't leave my skin feeling dry after I've used it. At the moment I am still loving the Liz Earle Cleanse & Polish. I've talked about this product before but I still think it's the best cleanser I've used! It also does wonders at removing my makeup when my makeup removers don't remove everything. However, it is quite pricey at £26.00 so if you know an alternative then definitely let me know! If I'm being completely honest, I don't always remove my makeup with makeup removers/cleanses because sometimes I just can't be bothered (I'm sure a lot of you know the struggle). 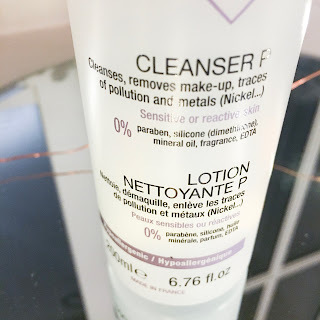 But when I do want to remove my makeup properly I use the Skintifique Cleanser P. This is the same consistency as Miscellar water and works great on my sensitive skin. I find it works wonders at removing my makeup and it also claims to remove traces of pollution and metals on your skin which is something no other cleanser has done. It comes in a 200ml bottle and you can get it for £12.50 which is a pretty good price in my opinion. Now, if you have dry skin like me then I'm sure you've gone through a ton of serums and intensive creams to combat the flakes. Trust me, I know how hard it is to apply makeup on top of dry skin. It's not nice. Currently, I'm using the Lee Jiham Dr's Vitapropolis Ampoule which is quite a luxurious serum retailing at £25.00! It has really cleared up my skin on bad skin days and it just makes my skin feel so hydrated. However, I know that most people wouldn't like to splash out £25 for a serum that's only 15ml so my next favourite thing is Bio-Oil! Bio-Oil is supposed to be SO good for the skin and it's incredibly cheap as well at about £5 a bottle! You can find it in your local Boots, Superdrug and even Primark. 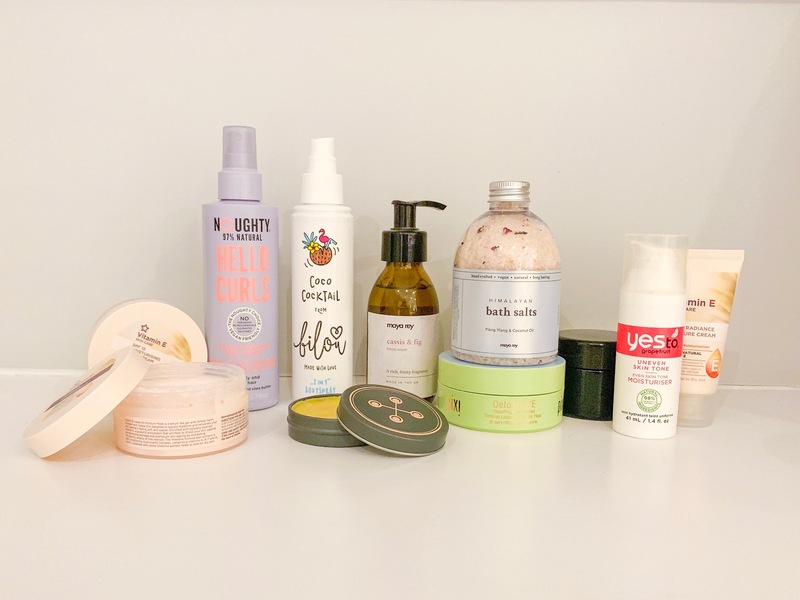 I do apply Lip Balms, Rose Water, Lash Serums and Face Masks too but I wanted to do a post about the products that I thought people would be most interested in and I didn't want to bore you too much! So, that's everything I lather on to my face during the day! I hope you loved it and I hope you have a lovely weekend. * I was gifted the Skintifique Cleanser P and the Lee Jiham Dr Vitapropolis Ampoule however all opinions are my own and not influenced by the brand I am working with. I do not receive any type of commission when you click on any links in this post. I normally stick with lush because my adult acne is a joke! But that serum sounds lush, especially for dry winter skin. Hmm..might try that Nivea Creme this Winter when my skin becomes extremely dry. I'm in a look out for a thick creme once I'm done with my Embryolisse. It's amazing and so cheap!! I find myself always reaching for nivea products, they are just so good! I really need to up my skin care routine, some of these products look fab. Yay Nivea!! That's been a recent staple as my skin got dry and lifeless after pregnancy. And yes not the best for oily but for dry it's amazing. Just take the time to massage it in! It's incredible for dry skin! I've never tried any of these products, always wanted to try Liz Earle but as you say it's pretty pricey! I'm so bad at looking after my skin so am currently looking for a new routine! This has given me a little inspiration, thanks! It's ALL about the Nivea! I have dry skin too, so it's really nice to hear some recommendations. I've never used Miscellar water though, I'll definitely have to give it go. Really helpful article Lauren! Love Nivea cream, I'm still obsessed with the original one that comes in the tin! 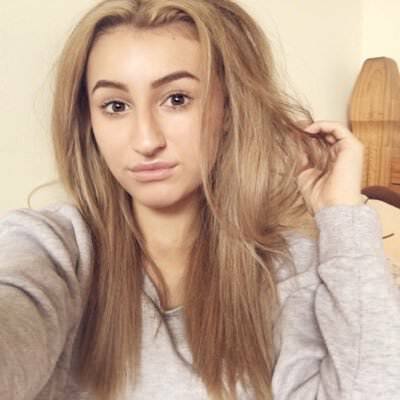 I started using cleansers every single night and I can see a huge difference! If I don't use them,my skin looks dull and dry. I understand where you're coming from, cleansers are essential! Thank you, it is amazing! Great post, I always love seeing what other people use for their skincare and checking out different products. I tend to stick to the same products. Not sure if that is a good thing or a bad thing. I might have to give these a try! Love the post and your blog in general! Melasma appeared on my face in 2015. I used Lazma Cream ( 3 months) that worked and everything was fine for 2 years.